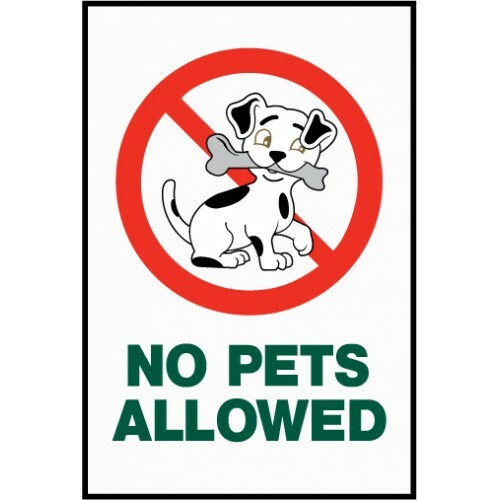 No pets allowed sign with universal red stripe. The adorable dog has a bone in its mouth. The sign is 12" x 18" and made of aluminum composite material.